As the days get shorter and the weather cools down and you begin to contemplate all things you didn't do when summer was here... there is one thing you should do. Walk more. Preferably outside, on an unpaved path lined with trees. Some people call it "hiking," but don’t let that intimidate you -- it’s honestly just walking. 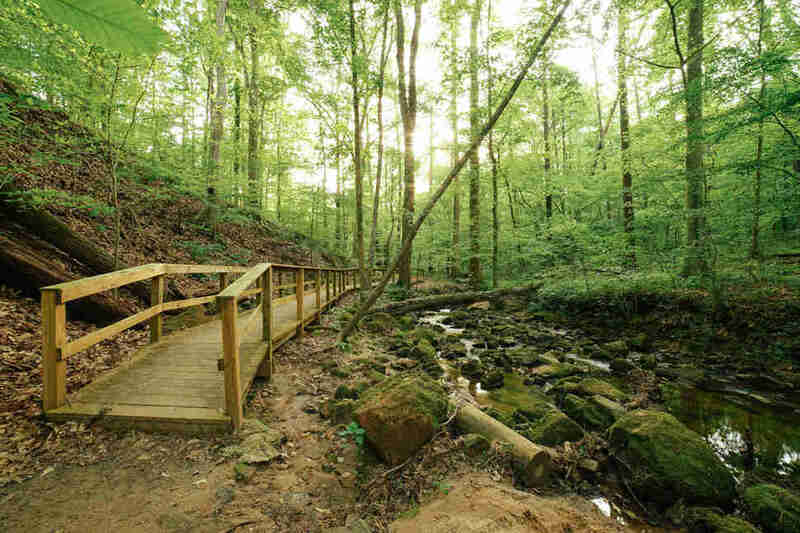 Encircling the Murphey Candler Lake on the north side of Brookhaven, this woodsy, shaded trail is pet and family-friendly. It’s not as secluded as some of the other trails on our list, but you're bound to see some wildlife (namely, geese and ducks), and the contrast between the city skyline and the treeline is pretty damn lovely. Did you know there is a natural waterfall inside Atlanta city limits? This hike leads you to it, and it’s only 20 minutes from Downtown. You’ll have to cross a forest, some streams, and a Civil War battlefield in order to get to the waterfall, but it’s well-worth the effort. Make sure to bring your camera: You’ll have numerous selfie opportunities inside the beautiful 120-acre Cascade Springs Nature Preserve. Don’t be fooled by the length of this trail. What it lacks in distance it makes up for in elevation changes and scenic surroundings. 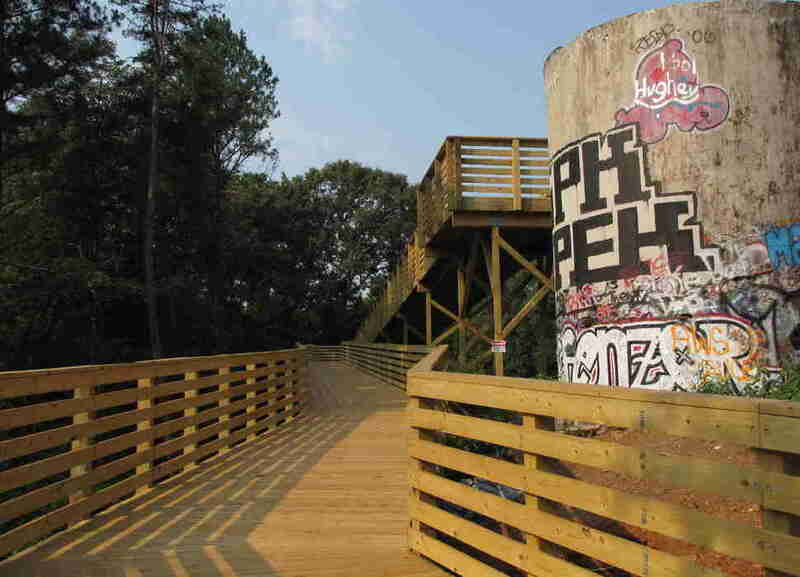 The paved boardwalk connects two parks in Decatur -- Mason Mills Park and Medlock Park -- as it meanders through tall trees and over creeks. Future expansions may connect this PATH trail to the Emory University campus. Even though you’re right off I-85, you would never know it hiking this trail in Kittredge Park. Mostly unpaved and running through the woods, this path has many loops and turns, so you can make it a half-mile walk or a two-mile hike. The park also has a playground, a sports field, and some picnic areas. 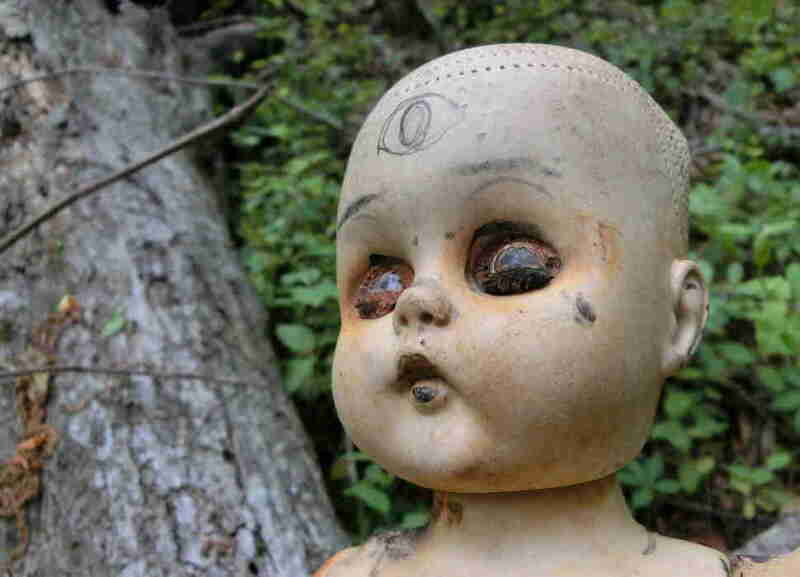 Considered one of the most unique hikes in Atlanta, this path is lined with objects found throughout the park -- like doll heads (yes, multiple) -- that are now displayed as folk art. It’s short, but it’s part of the 125-acre nature preserve Constitution Lakes, which boasts plenty of wildlife, marshes, and the “Sweetwater Goak” tree, Atlanta’s second-tallest willow oak tree. This is a trail to look forward to -- as it's still in progress. 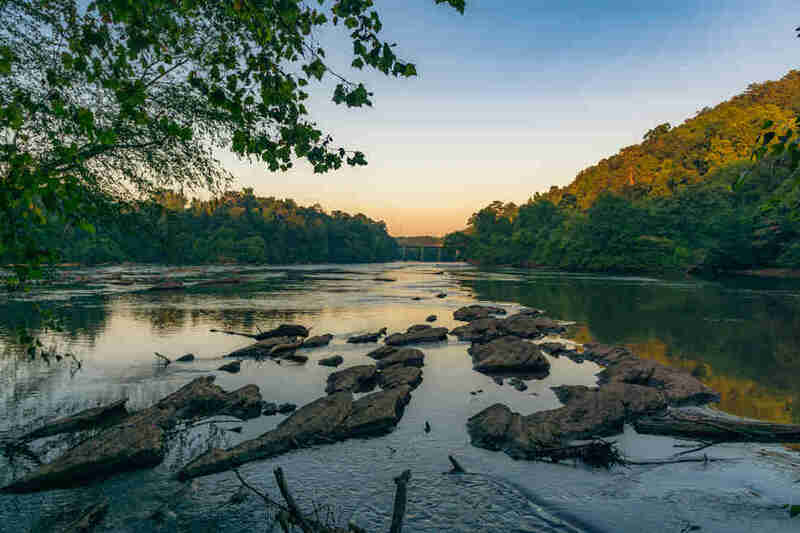 A BeltLine-like project, the Greenway will be a paved path for walking, running, and biking, and hopes to connect the existing BeltLine to the planned park at Bellwood Quarry and to the Chattahoochee River, linking together many neighborhoods along the way. 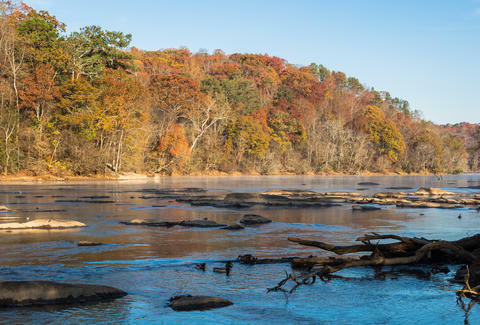 Perhaps the most well-known location on this list, this trail along the Chattahoochee River offers something to everyone, whether you’re a novice hiker or an experienced outdoorsman. The path runs along the river and through the woods (! ), which makes for some of the most scenic nature views in the city. There’s also a bamboo forest and lots of rocky overlooks. OK OK, this one is technically outside the perimeter, but just barely, so we're going with it. Like East Palisades, it follows the bends of the Chattahoochee River, but this path is less trafficked so it’s better for those solo, “why are all Starburst independently wrapped?” type of hikes. This trail is mostly unpaved and narrow, but it has stunning views of the river and the Powers Island toward its end. Anna Lanfreschi is a lover of all things food, skiing, cats and Atlanta. Follow her adventures on her blog, Belly of the Feast, or Twitter and Instagram @AnnaFeasts.